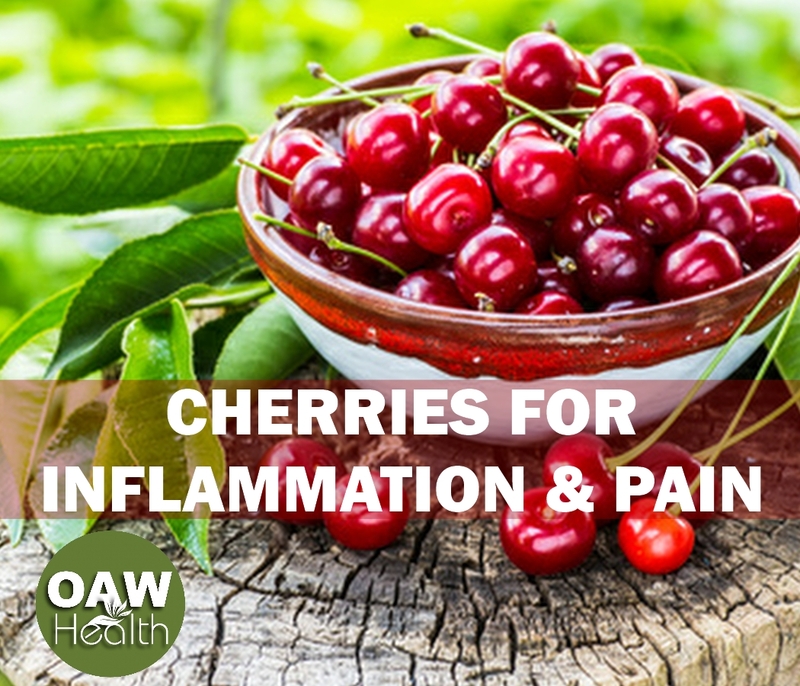 Eating cherries for inflammation and pain may seem a bit “out there” for most people who actually suffer from chronic pain on a daily basis. 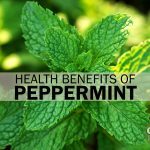 However, research continues to show that cherries, especially tart cherries, can give some of the same beneficial type of relief that anti-inflammatory drugs provide without having to be concerned about toxic side effects. 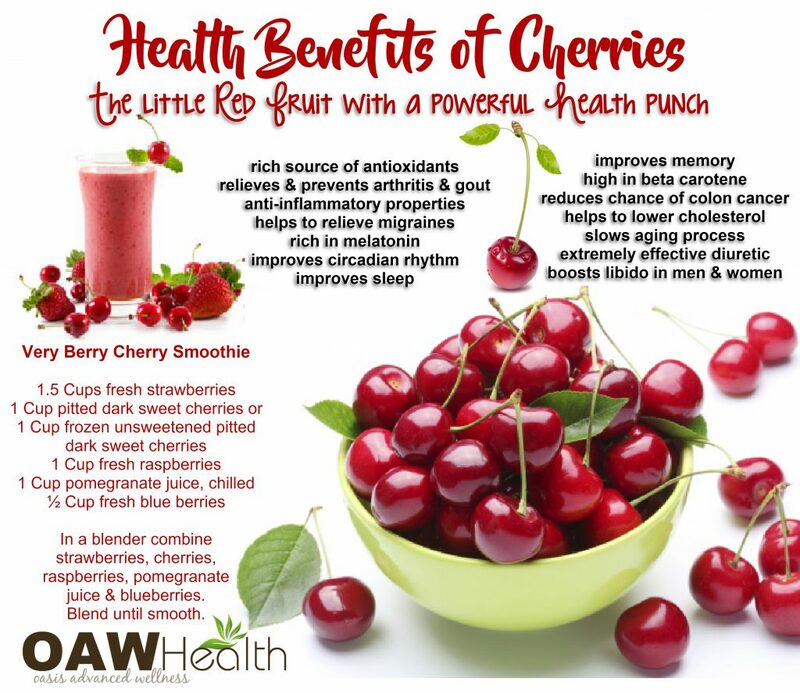 Cherries are truly “the little red fruit with a powerful health punch”. Besides their beautiful red color and delicious taste, cherries are a rich source of Vitamin C, potassium and boron which is important for bone health. Research done at Michigan State University appearing in the Journal of Natural Products published by the American Chemical Society revealed the anthocyanins that make cherries red may also help relieve pain more effectively than aspirin. 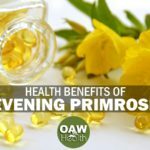 This study found that anthocyanins are potent antioxidants that can prevent oxidative damage and also inhibit enzymes called cyclooxygenase-1 and -2 (Cox 1 and 2), which is very similar to the way anti- inflammatory drugs work. Cherries (especially tart cherries) are also rich in antioxidants, quercitrin, ellagic acid and perillyl alcohol (POH) all which help fight cancer and disease. In a 2007 pilot study, researchers at Baylor Research Institute gave tart cherries in pill form to patients with osteoarthritis of the knee. They documented that, after 8 weeks, more than half the subjects experienced a significant improvement in pain and function. According to www.lef.org, a series of studies reporting on the compelling anti-inflammatory activity of sweet cherries—and especially tart cherries—has many scientists excited. But not the Food and Drug Administration. The agency has taken draconian steps to suppress this information. It may seem difficult to believe, but on October 17, 2005, the Food and Drug Administration issued an edict that precludes cherry companies from posting scientific data about cherries on their websites. Letters from the agency went out to 29 companies warning them that if they continue to inform consumers about these scientific studies, criminal prosecutions will ensue. What can’t cherry suppliers tell you? Simply this: tart cherries may well be the ultimate super food. 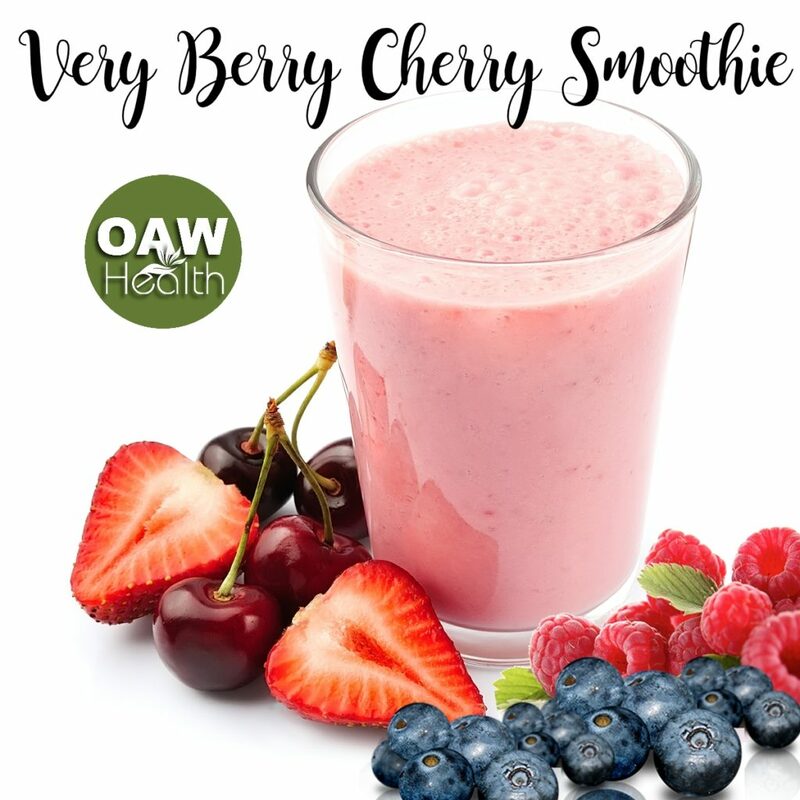 Due to their superior phenolic matrix, tart cherry compounds help reduce the risk of osteoarthritis, gout, obesity, cardiovascular disease, metabolic syndrome, diabetes, and neurodegenerative diseases such as Parkinson’s and Alzheimer’s. Consuming one-half pound of fresh or canned cherries per day has been found effective in lowering uric acid levels and preventing attacks of gout. 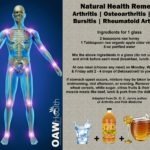 Encyclopedia of Natural Medicine, Revised Second Edition by Michael T. Murray, N.D., Joseph E. Pizzorno, N.D.
Juicing about four handfuls of pitted cherries with 1/2 cup of strawberries can help neutralize excess uric acid and may help prevent gout attacks. 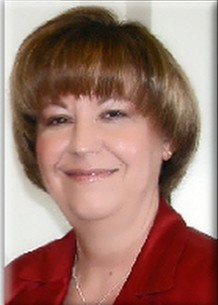 Cherie Calbom, M.S., a certified nutritionist in Kirkland, Washington, and co-author of Juicing for Life. In a blender combine strawberries, cherries, raspberries, pomegranate juice & blueberries. Blend until smooth. Kuehl KS, Chestnutt J, Elliot DL, Lilley C. “Efficacy of tart cherry juice in reducing muscle pain after strenuous exercise.” American College of Sports Medicine. 851. May, 2009. Kerry S Kuehl, Erica T Perrier, Diane L Elliot, and James C Chesnutt, See Full Text: “Efficacy of tart cherry juice in reducing muscle pain during running: a randomized controlled trial” J Int Soc Sports Nutr. 2010; 7: 17. Published online 2010 May 7. doi: 10.1186/1550-2783-7-17.BioMed Central Ltd. Available at: http://media.baylorhealth.com/releases/Can-Cherries-Relieve-the-Pain-of-Osteoarthritis. Accessed July 7, 2014. Kuehl KS, Elliot DL, Sleigh A, Smith J. Efficacy of tart cherry juice to reduce inflammation biomarkers among women with inflammatory osteoarthritis. J Food Stud. 2012;1:14-25. Martin KR, Bopp J, Burrell L, Hook G. The effect of 100% tart cherry juice on serum uric acid levels, biomarkers of inflammation and cardiovascular disease risk factors. FASEB J. April 2011;25 (Meeting Abstract Supplement):339.2. Wang LS, Stoner GD. Anthocyanins and their role in cancer prevention Cancer Lett. 2008 Oct 8;269(2):281-90. Bagchi D, Sen CK, Bagchi M, Atalay M. Anti-angiogenic, antioxidant, and anti-carcinogenic properties of a novel anthocyanin-rich berry extract formula. Biochemistry (Mosc). 2004 Jan;69(1):75-80, 1 p preceding 75.
http://www.fda.gov/food/complianceenforcement/warningletters/ucm081724.htm. Accessed January 7, 2017.
http://usatoday30.usatoday.com/news/health/2006-03-19-cherry-warnings_x.htm. Accessed January 7, 2017.